I don’t know how this series of posts will go. If it gets boring…tell me, stop reading. I suppose in some way this represents a record of introspection. So woke to the alarm at six. Rubbish collection needs putting out, my Tuesday night / Wednesday morning job. So torch grabbed and out in shorts (feel most comfortable in) and sports sandals. Walk around get the food bin and take it down the drive. Back and collect the rubbish sack, remember to keep an eye on the collection rota. Done. Cloudy start, still quite breezy from the night before, pick up the chair that has blown over. I decide I would like to drive down and see the seafront in Swanage. As I really need to do now if thinking of going out alone,tell someone where I am going. I drive down, glimpses of blue sky above. On Shore Road I park up and watch then photograph some gently breaking waves. After a while I decide I will continue around to one of the newsagents in the high Street and get the family’s papers. I take a walk and several more photos and walk the loop from Jurassic Outdoors to Gee Whites, onto the jetty. Then down past play land and the museum and in a loop back up the HS. Papers bought I finish off ordering an online gift for my wife (can’t blog what it is because she reads my blog ). Driving home I pass through the town passing familiar pupils on their way to school. I don’t want to be recognised but ok to pass them. 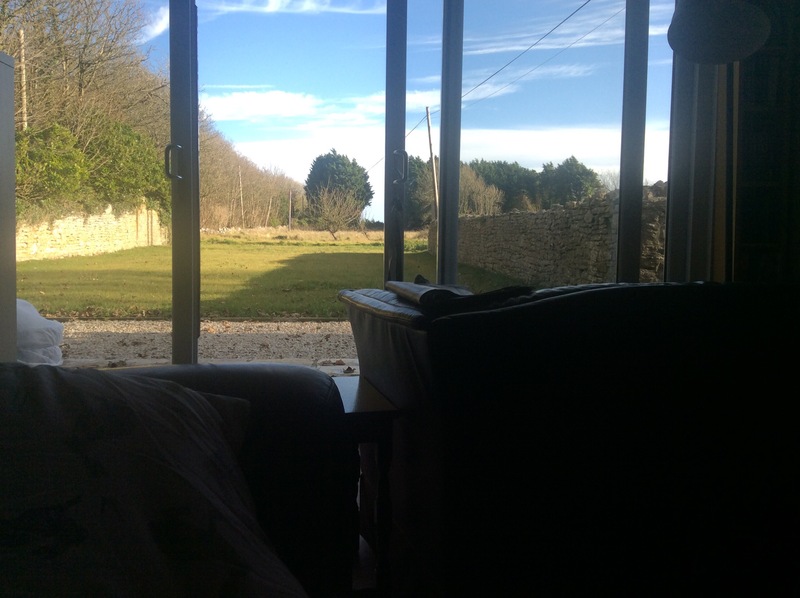 At home breakfast – eating ok. Then sit on sofa looking out into the lawned area/ garden. I fall asleep on the sofa reading the local papers. I am interested that Dorset Wildlife Trust at Kimmeridge are seeking volunteers, a possible outlet. It’s midday when I wake, slightly discombobulated. Aha job to do bed remaking which I do although duvet case and me… A struggle but I will be given feedback later. A geographer friend enquirers if we still are up for meeting next week, he is to look at dates. School contact to confirm final day of work and we arrange a time for me to collect my things from school when it will be quiet. On second thought I accept my son’s kind offer of his xbox360 so I can play Forza driving game as a distraction as I have enjoyed it previously. I do one go but already foing shakes and quite nervy. That sleep and loss of clear focus has allowed doubt to creep in. I gather various items around me; drawing items, computer to back up recent phone pictues. I send son away (he reads this too) as I just have that alone need (he is being very supportive, thank you C). I come across a tweet referring to The Samaritans and add the number and local wellbeing service number GP gave me to my mobile contacts. I post this piece while looking out into the garden curled up on the larger sofa. Tonight I get to attend my first meeting of a local support meeting, that apart from commenting on if it goes well for me, is confidential so will not be sharing anything from meetings. I am going to try some sketching using my promarkers which is long overdue, a quiet day I think, oh and the injured arm – still hurting from yesterday’s leaf gathering but as I was told earlier I had done too much, which I knew but it was a great dis tractor. Maybe morrow I will get that haircut I keep promising myself.